Despite growing concern with the effects of concurrent task demands on human performance, and research demonstrating that these demands are associated with vulnerability to error, so far there has been only limited research into the nature and range of concurrent task demands in real-world settings. 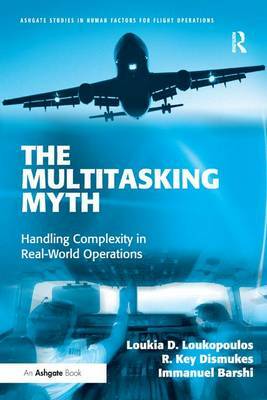 This book presents a set of NASA studies that characterize the nature of concurrent task demands confronting airline flight crews in routine operations, as opposed to emergency situations. The authors analyze these demands in light of what is known about cognitive processes, particularly those of attention and memory, with the focus upon inadvertent omissions of intended actions by skilled pilots. The studies reported within the book employed several distinct but complementary methods: ethnographic observations, analysis of incident reports submitted by pilots, and cognitive task analysis. They showed that concurrent task management comprises a set of issues distinct from (though related to) mental workload, an area that has been studied extensively by human factors researchers for more than 30 years. This book will be of direct relevance to aviation psychologists and to those involved in aviation training and operations. It will also interest individuals in any domain that involves concurrent task demands, for example the work of emergency room medical teams. Furthermore, the countermeasures presented in the final chapter to reduce vulnerability to errors associated with concurrent task demands can readily be adapted to work in diverse domains.